Moog’s Historic Big Modulars Return – You Say You Want a Resurrection? Synthesizers are now old enough to become “classics,” to have a canonical form – much like the Steinway D in pianos or the Stradivarius violin. So, that leaves us a choice: do we make something new, even if fashioned out of the old, or do we reissue the historical instrument as it originally was? At NAMM this week, I expect you can find representatives from the whole spectrum between past and future. But the company that more than any other has defined what it means to be a “classic” is now setting their time machine firmly to the past. 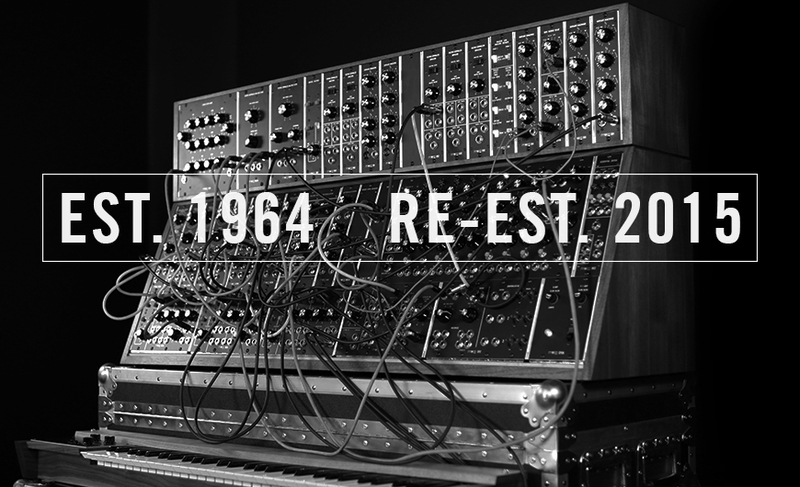 Moog is remaking their modulars. Now, let’s remember, Moog Music’s original reentry into synthesizers was very different. Dr. Bob Moog’s Minimoog Voyager is a rethinking of its predecessor. While the basic architecture follows the original Minimoog, the Voyager added new control and playing possibilities, and additional modulation. It keeps its tune (ahem) and can be controlled via MIDI. The Minimoog Voyager was a sequel, not a re-release. But then last year, we got a first indication Moog Music (now absent Dr. Moog) might restart the assembly lines on its historical products, too. The Keith Emerson modular was a nearly exact copy of the historical instrument. 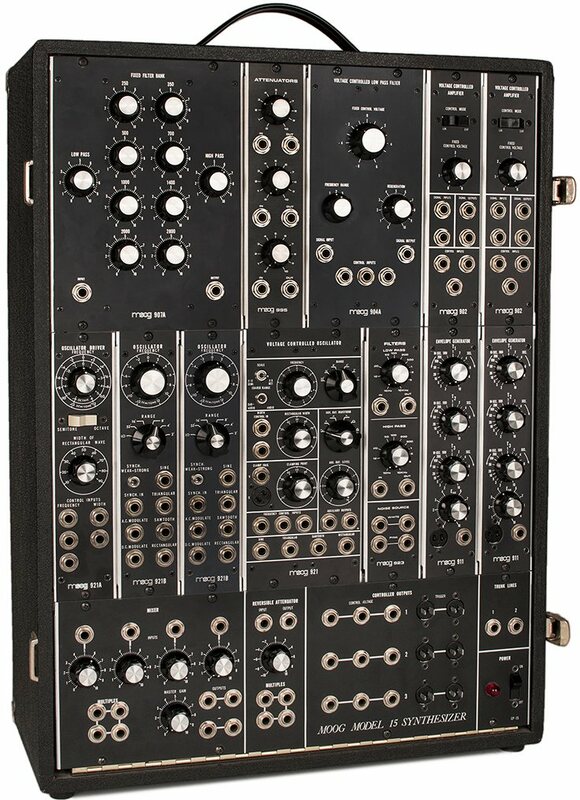 The Emerson modular was build-to-order only, with a price tag of “if you have to ask, you can’t afford it.” The new modular line has an actual price tag, and an initial quantity greater than one. It’s still expensive, and an extremely limited run, but it’s a real product line. It just happens to be a 1970s product line. There are three systems, all based around the 900-series modules that would popularize modular. These aren’t mass-market products: like the Emerson system, and reportedly using techniques developed to make it, they’re hand-built. In fact, they’re so exhaustively close to the original, they border on the obsessive. The schematics are the 1970s schematics. They’re reusing the original circuit board films. They’re even hand-stuffed and hand-soldered and wired the way the originals were. It would not be inaccurate to say that the old assembly line was cranked up again. This isn’t a copy; it’s more the reanimated original. What these modules obviously aren’t – apart from inexpensive – is Eurorack. 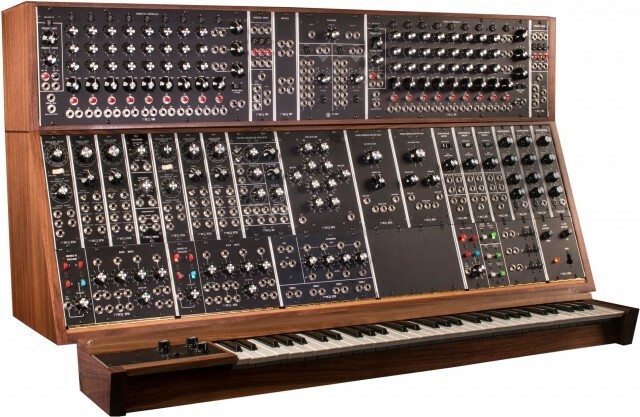 There had been wide speculation on The Internets that perhaps Moog would enter this market, which has grown in popularity from Doepfer and Germany to an international community of boutique makers. Instead, you get something that appears to be intended more as a standalone system – a pricey, physically massive instrument. You can still look to 900 series-inspired modules in that market, though; the new 5U remakes are something different. In fact, if you go back to CDM’s interview with engineer Gene Stopp, you can tell they were already thinking about this when I talked to them in April. And in contrast with even the Korg remakes of the MS-20 or upcoming ARP Odyssey, Moog already felt strongly that there was only one “right way” to make the historical instrument – that is, exactly with the original circuits. So they mention even in that interview that making cheap Eurorack was a possibility. It just seems that Moog decided that wasn’t the Moog thing to do. What the Emerson prototype did, then, was to demonstrate that this exact historical “resurrection” was both possible and desirable. It was a proof of concept for restarting the modular factory. And so, we get the ability to buy the original instrument, for those who can afford it. Along with today’s launch, Moog has a film that can also be seen as a manifesto – spoken through the artists and engineers – about why this instrument matters. But… they could have done Eurorack in a lot less space and for a lot less cost. But… digital synthesis is also as capable of creating vibrations in the air as analog synthesis is – hence the term “analog” (unless you actually have voltage inputs in your brain, in which case, you’re awesome). But… “unlimited choice” doesn’t really describe analog synthesizers, at least any less than a grand piano or a guitar or your copy of Absynth could potentially have unlimited sounds. But… surely digital synthesizers are also capable of producing new, creative sounds every day, often via a wider palette (and absent the physical restrictions of having limited patch points). That is, assuming you’re clever enough to go beyond the presets — and we’re not talking merely about things like tuning drift issues with analog circuitry. All of that said, I’ll defend Moog’s choices here, and I don’t doubt that what they’ve created is something truly special. 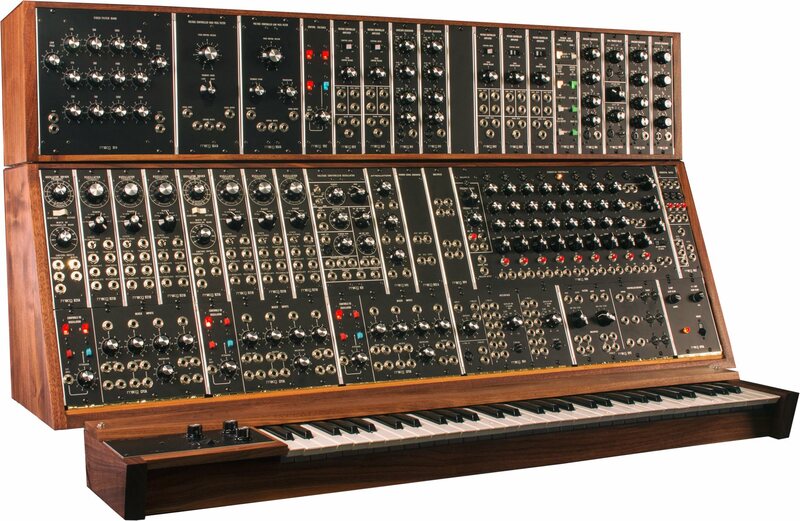 In fact, I learned synthesis on series 900 Moog modules, alongside a Buchla system, at Sarah Lawrence College. I think there’s real value in those instruments remaining, not as silent museum pieces, but as hardware live humans can actually play. The reintroduction of these instruments is not about reliving the past – while much incredible work has been done with the Moog Modular, there is so much further yet to be explored in this relatively young instrument. Artists had only begun to grasp the vast possibilities of these large format modular synthesizers when they went out of production over thirty years ago. Actually, I think there’s some room for disagreement there. There are other ways to get at modular synthesis with hardware (let alone software) that don’t specifically require a $30,000 System 55. But it’s at the same time reassuring to know that Moog is adding to the spectrum of choice. In other words, Moog have done a perfect job of being Moog. And this is still the company that will make perfectly affordable guitar stompboxes if the sticker price on the Moog modular system already looks like the amount of student debt you owe. The other reason not to be concerned is that we have a universe of choices in electronic musical instruments. Even historically, Moog alone didn’t write the entire history of modulars, let alone synthesizers. It’s tough to overstate the importance of Moog, but that doesn’t mean you should leave out Don Buchla, whose contributions occurred alongside Moog’s, or Hugh Le Caine, whose inventions inspired Moog and Buchla. (As to my earlier point: le Caine also built his own 20th century electrical version of the aforementioned sackbut. Instrument builders can be counted on to try every weird combination.) Don’t forget ARP, Serge, EMS, Roland, PAIA, EML, or, later on, countless others, either. And the list goes on. This is worth saying, because the Moog company will frequently talk about modular as the invention of Dr. Moog. That’s certainly fine for them to say that – the hint as to why they might be inclined to do so is sneakily hidden in the name of their company – just so long as the rest of us do our homework, too. Today, we have more choices in instruments than ever before. You certainly will miss the physical sensation of plugging cables, but tools like Max, Reaktor, Pd, and SuperCollider all offer unlimited sound design possibilities. And back in analog hardware, the amount of Eurorack innovation is simply exploding, with people who would never have even considered making hardware before spinning out new creations weekly. You can expect more Eurorack creations this week than you’ll probably be able to count, comprehend, or afford. And some will allow you to put together wild, new systems for a tiny fraction of the cost and size of a Moog modular. Thanks to Moog, in other words, we live in a world where every choice is possible. Make no mistake: the Moog remake is innovative. It’s just innovative in that it resurrects not only a historical design, but a historical means of manufacture. Moog are the only company making that kind of product in a quantity greater than a handful. And the return of the Moog modular means that there’s now no gap in continuity between the first popular commercial synthesizer and whatever is invented this week. So this week you can visit someone visiting NAMM for the first time just to show their new Eurorack modular, and then see Dieter Doepfer who made it possible for them to do that, and then buy the Moog modular that popularized the category in the first place, fresh out of the factory. Or you can even stay home, buy a $25 embedded computer, load Linux and Pd on it for free, and get unlimited choices that way. But aren’t we lucky? We live in a world where the limitation in sound possibility isn’t the technology, or even budget. It’s just us.